Day 100 of #the100dayproject and my #realandendangered project. Though it is the last day of the #the100dayproject, I plan to continue with an additional species per week. 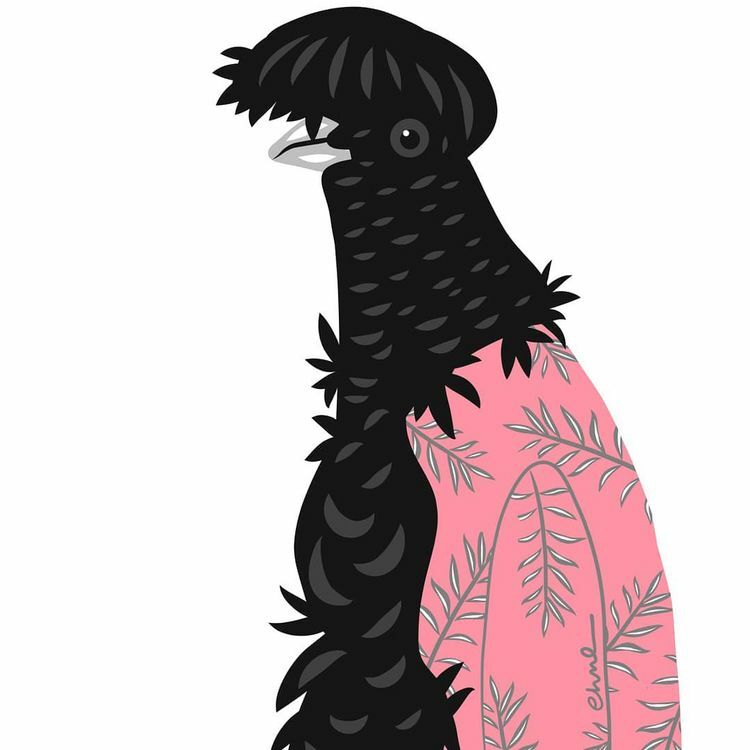 For today, let's look at the final #the100dayproject installment: the Long-wattled umbrella bird, which is found in a relatively narrow belt along the western slopes of the Andes, from the San Juan River in Colombia down to southern Ecuador. Here are some additional facts: 1. They get their name from the male's long wattle, which inflates during courtship, resembling a large, open pine cone. 2. Females and juveniles resemble the male but are smaller, and both the crest (which is rather large on males, extending over the bill) and wattle are greatly reduced. 3. They are apparently clumsy flyers and prefer to hop from branch to branch within the canopy. 4. They play an important ecological role within its habitat as a seed dispersal agent (due to the large quantities of fruit they consume). 5. They are an altitudinal migrant species, as they migrate up and down the mountains rather than across the land.